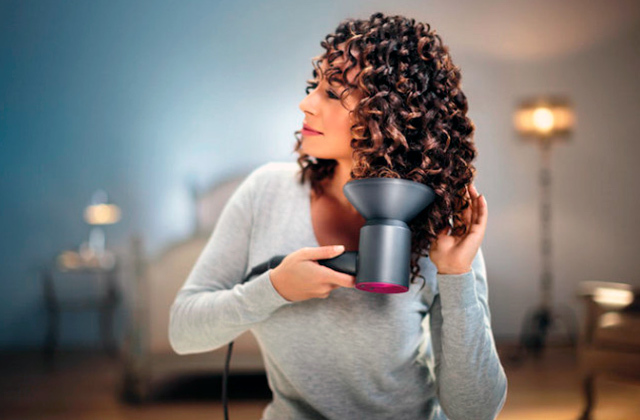 The special spiral form of the barrel is perfect for creating bouncy curls. 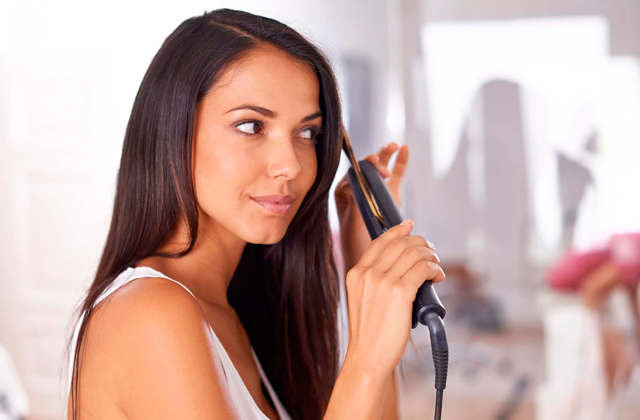 Grooves all over the heating element help curl hair without twisting it. And the unique diamond-ceramic coating gives your locks a luxurious shine. 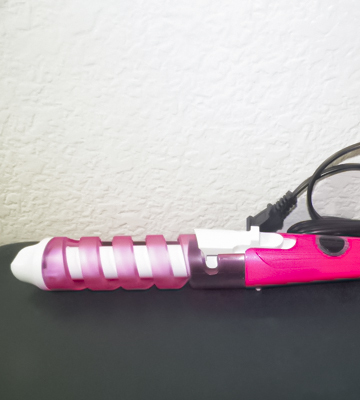 Due to the barrel type, this curling wand may not be the best fit for women with long hair. 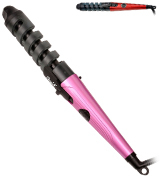 This curling iron is created for those who want to style their hair professionally in the comforts of their own home. Thanks to the improved Ceramics™ heater system used, the heating element warms up evenly along the length and holds selected temperature during the whole process. The exclusive electroplated finish will be able to prevent dry and frizzy hair regardless of the weather conditions. The cord features 3 metres in length, so it'll be able to offer you some additional manoeuvrability and there's next to no chance that it will ever get tangled. 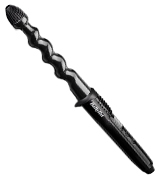 We would recommend this spiral curling wand to people who are more concerned about the safety of their hair than about saving some time and getting a passable hairdo as fast as possible. The 33-mm barrel will allow you to create large wave curls. The double layer design means that the skin won't come in contact with the heating element, so you won't have to worry about burning your skin. Your standard tourmaline ceramic element evenly distributes the heat, protecting your hair from overheating. Doesn't work that well with wet hair. The particular model from CkeyiN is easily one of the most efficient spiral hair curlers on the market. It takes a minimal amount of time to heat up, allowing you to achieve those lovely "S" shapes with remarkable simplicity. You can adjust the temperature from 120°C all the way to 210. A large LCD screen will display the current temperature. And if you do not fancy the metric system, you can switch to Fahrenheit measurements. The automatic shut-off function will take an hour before turning the tool off on its own. 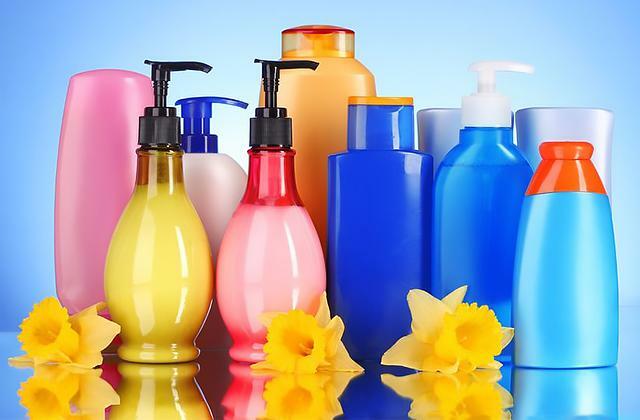 The hair products might leave some traces on lighter surfaces. What we have here is a spiral curling iron for people who know what they're doing and like to experiment with different looks and hairstyles. The dual voltage setup also makes this model a perfect choice for those who like to travel to different countries around the world. A British adapter is included in the package. The barrel features 20 mm in diameter, making it a great choice for people who prefer soft waves in a retro style. The cool tip will prevent you from burning your skin. The buttons are inconveniently placed, so you may accidentally press them while styling your hair. 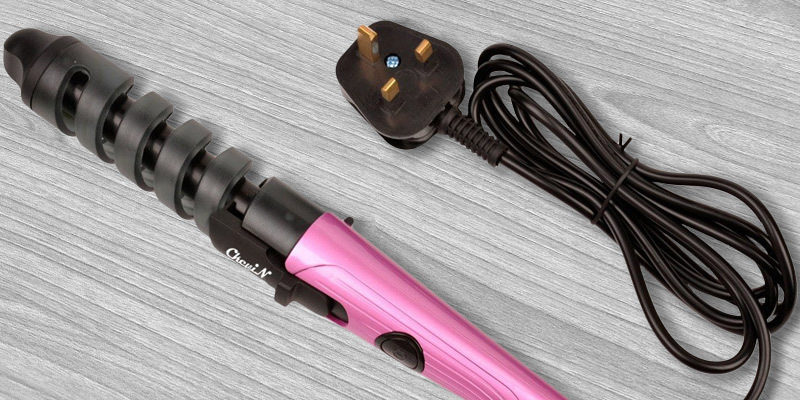 The Denshine Magic Pro spiral curling iron comes with a convenient handle and a swivel cord that won't tangle up nor will it decrease your manoeuvrability options. It heats up in no time at all and the competitive price will be able to attract a great number of potential customers. Have you ever dreamed of having luxurious curls worthy of a red carpet at some big Hollywood event? 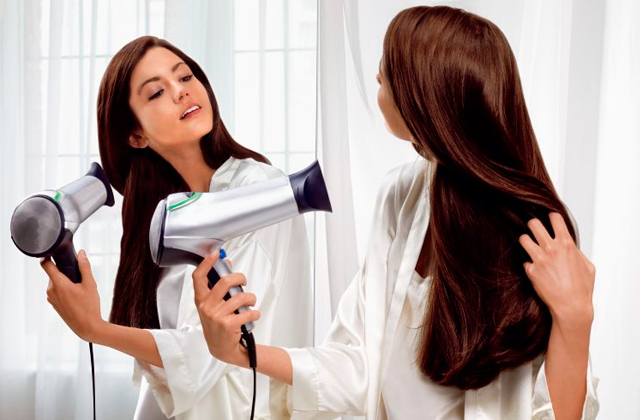 Try out the BaByliss diamond waves wand and turn your dream into reality! The diamond-ceramic finish on this iron will boost the natural shine of your locks, making you look like a star. No need for any chemical additives that might damage delicate strands, the curler works its magic without gels or sprays. The 25-mm twisted barrel is designed specifically to make your locks wavy and works best on short-to-medium length. If you frequently find yourself lacking time in the morning, you’ll be pleased to know that this model heats up in mere seconds 40 seconds. 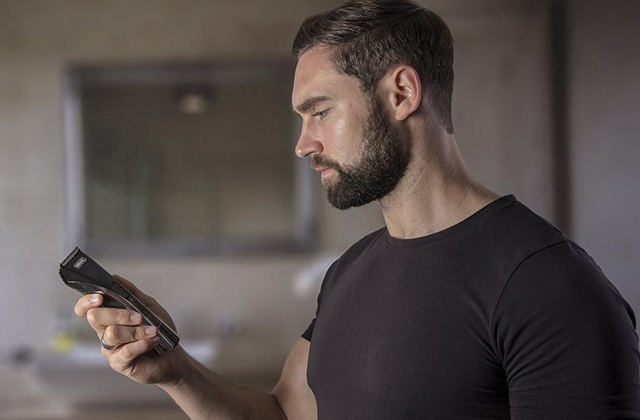 The temperature has 5 steps, ranging from 150 to 210°C, so you can choose the optimal one in accordance with your hair structure. Don’t worry about burning your hand even when using the highest setting as the manufacturer includes a free protective glove with the purchase. And, if you’re forgetful, you won’t have to fret about turning the iron off as it has an auto shut-off function. After 72 minutes, the device will shut down automatically to prevent damage and fire hazards. The BaByliss spiral curling iron is a solid choice for those that don’t mind paying a bit more for glorious curly locks with a natural shine. It’s convenient to use thanks to the 2.5-m cord and protective glove included in the box, and it provides excellent results boosting the inherent beauty of your hair. Lee Stafford Rainbow Waver Curling Wand is a model that takes some time to heat up, requiring about 2 minutes to reach the optimal temperature. But once it heats up, it really gets going, being able to reach the temperature of up to 220°C. 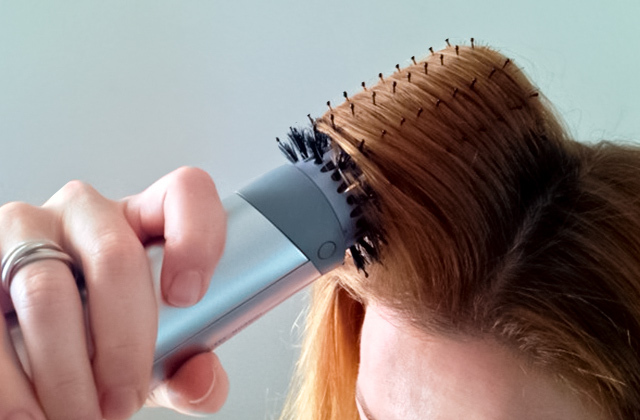 With this tool in your drawer, you can wave goodbye to the sort of dry, frizzy hair that way too often makes you feel insecure about yourself. Using the 33mm spherical barrel, it's never been this simple to get those loose curls that give you a cute everyday look but also work for a glamorous night out. Naturally, all of the standard components and accessories are there as well, like a protective cooling tip or a heat protection glove, both of which will allow you to style your hair in the quickest, safest, and most effortless manner. The exclusive electroplated finish will be able to prevent dry and frizzy hair regardless of the weather conditions. A few other conveniences worth mentioning include the extra long swivel cord and a stand. The cord features 3 metres in length, so it'll be able to offer you some additional manoeuvrability and there's next to no chance that it will ever get tangled. The stand will provide some additional safety, thus preventing potential burns to any household surfaces. 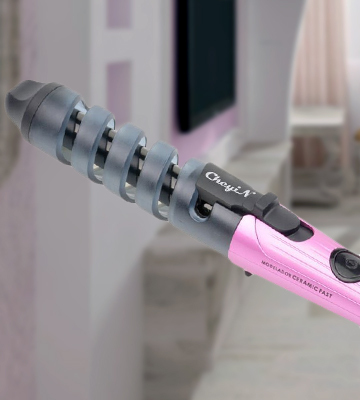 All in all, we would recommend this spiral curling wand to people who are more concerned about the safety of their hair than about saving some time and getting a passable hairdo as fast as possible. 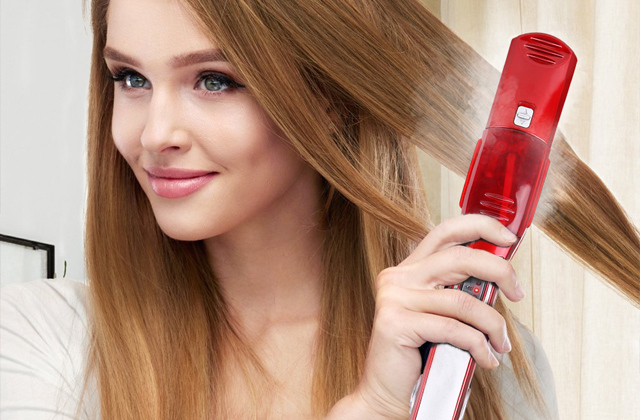 The Hair Curler Spiral from CkeyiN won't cost you a whole lot of money but it will be able to deliver exceptional performance comparable to that of a professional hair styling accessory. We believe it all starts with a helical form design as it will help you achieve those lovely "S" waves regardless of how adept you are at using these things. The model will also save you a whole lot of time compared to your standard curling iron as it takes precisely 30 seconds to heat up to a temperature of 190°C. It may not sound like much on paper, but we all know how important those extra few minutes can be in the morning. Of course, subjecting your hair to that kind of temperature isn't necessarily the most ideal scenario. But since the model offers just about every single safety measure out there, your hair will be just fine. The double layer design means that the skin won't come in contact with the heating element, so you won't have to worry about burning your skin. Your standard tourmaline ceramic element evenly distributes the heat, protecting your hair from overheating. 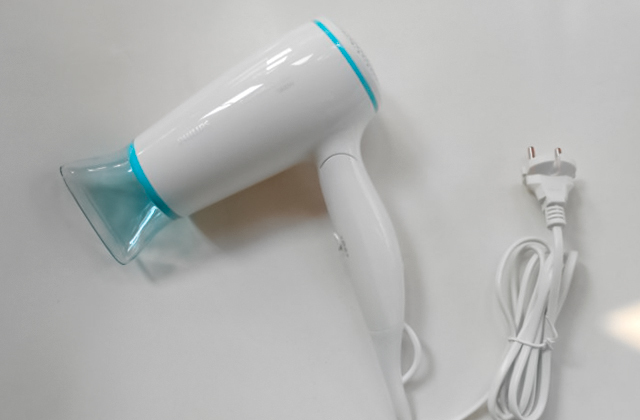 The negative ions that the model releases throughout the heating process neutralise the static charges of your hair, thus allowing you to get those shiny curls without doing any kind of permanent damage to your hair. And that's about all we wanted to talk about. In short, the model from CkeyiN is one of the most efficient spiral hair curlers on the market. It takes a minimal amount of time to heat up, allowing you to achieve those lovely "S" shapes with remarkable simplicity. Simply put, what we have here isn't just some cheap model for teenagers or for those individuals who do not particularly care about the quality of their curling irons. This is a model for professionals or, at the very least, for people who know their way around these things. After taking a single glance at the product in question, the first thing that jumps out is definitely the LCD screen. Since you can adjust the temperature from 120°C all the way to 210, to say that this screen will prove to be of great help to people who like to experiment with their look would be quite an understatement. And if you do not fancy the clearly superior metric system, you can switch to Fahrenheit measurements. The gold electroplating handle is fairly durable and safe on its own, but the manufacturers also made sure to add a heat-resistant glove just in case. 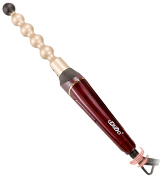 Other than that, the spiral curling wand offers quite a number of convenient features. The automatic shut-off function will take an hour before turning the tool off on its own. The 2.5-metre cord comes with a hang loop. Add to that the built-in stand and, suffice it to say, you shouldn't encounter any issues in terms of storage. A few obvious elements that probably aren't even worth mentioning is the tourmaline coating that protects the dry hair and the cool tip that serves a similar purpose in regard to your skin. Of course, they aren't worth mentioning not because they're insignificant but because they're a given for a professional model like this one. 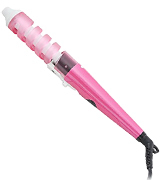 To rephrase our earlier point, what we have here is a spiral curling iron for people who know what they're doing and like to experiment with different looks and hairstyles. The dual voltage setup also makes this model a perfect choice for those who like to travel to different countries around the world. To be brutally honest, despite the fairly presumptuous name, the Denshine Magic Pro spiral curling iron is neither magical nor particularly professional. But for less than 15 quid, it really doesn't have to be. This is a relatively simple product that includes just about every single component and feature you would want out of a tool like that. 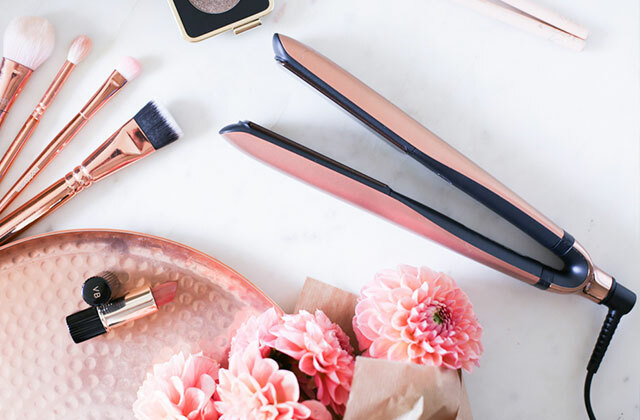 The choice of ceramic material when it comes to the body of the curling iron isn't particularly unique, we get that. But that is simply because this is easily the most effective material in terms of even heat distribution, which is a solution that both protects your hair and ensures that every section of the curl has enough shine and volume. 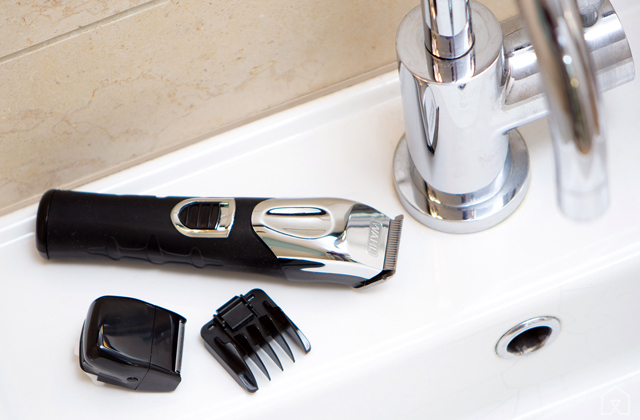 The dual voltage setup will allow you to take the model with you on your travels. But if you aren't the type to travel, the manufacturers have you covered with a British adapter that already comes with the package. The barrel features 20 mm in diameter, making it a great choice for people who prefer soft waves in a retro style. So, what else is there? Well, the swivel cord won't get tangled up, so that's always a plus. The cool tip will prevent you from burning your skin. And it takes the model no more than 30 seconds to fully heat up, allowing you to achieve the look you want in less time. In conclusion, the Denshine Magic Pro spiral curling iron comes with a convenient handle and a swivel cord that won't tangle up nor will it decrease your manoeuvrability options. It heats up in no time at all and the competitive price will be able to attract a great number of potential customers. What Is a Spiral Curling Iron? 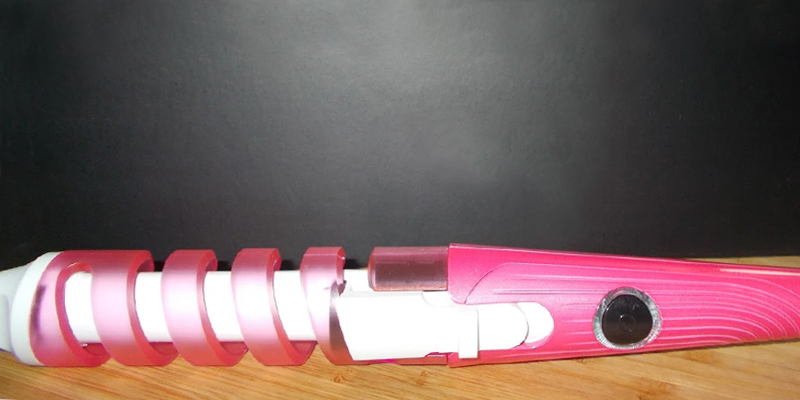 A spiral curling iron is an electric styling tool designed to make the hair curly using heat. 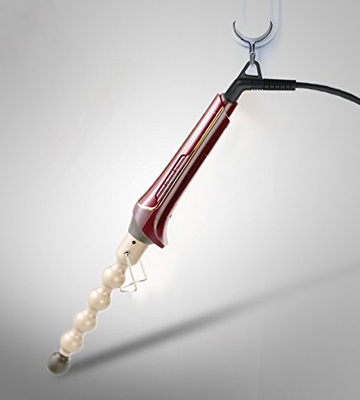 Modern curling irons vary by material, diameter, barrel shape, and a type of handle. Smaller barrels create spiral curls, while larger barrels give volume and shape. 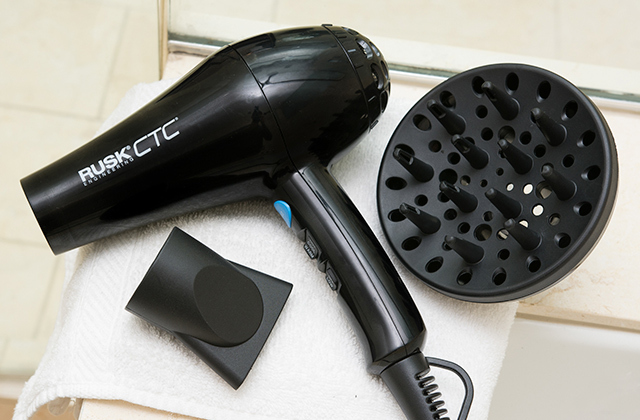 Keeping your hair safe is of the utmost importance when using electric styling tools. Modern spiral curlers are usually made of ceramic, Teflon, tourmaline, titanium, or metal that are totally safe for use on any types of hair. Other than that, there are still a few differences between models that you should keep in mind. The number of convenient features and additional accessories may or may not include a built-in stand, a long swivel cord, or a heat-resistant glove that will protect your hand from burns. So, if you don’t misuse a styler, you will not get upset with the obtained results. 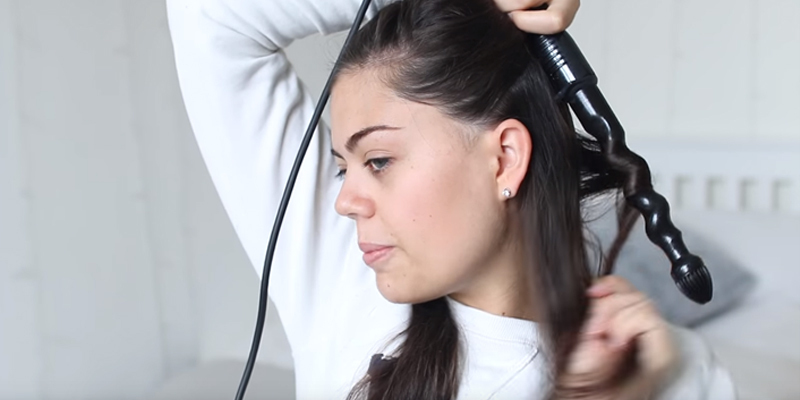 In case you'd like to get stick-straight, silky hair, we can suggest you consider buying a flat iron.